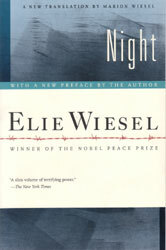 Through Elie Wiesel's memoir Night, the reader gets a sense of what it was like to be a young person caught in the maelstrom of the Nazi Holocaust and the growing darkness that resulted in a never-ending night of prejudice, devastation, and death. With the dawn of a new century, there is an urgency to document survivor stories and preserve memories—for time and death will silence these remaining voices. Soon, there will be no one left to say, “Never shall I forget that night!” It is imperative that today’s students gaze deeply into this night of darkness and listen to the voices that bear witness to the Holocaust. This unit honors the lives and legacies of those who survived the extreme hardships and unspeakable cruelty of this epoch of darkness. Survivors such as Elie Wiesel continue to bear witness to the sanctity of each life sacrificed to the deadly design of the Holocaust. They speak for those who can no longer speak, and they speak to new generation as guardians of the Holocaust. Material created or compiled by Gloria Chandler or Eileen Bach may be used with permission in the classroom but may not be used with distance or online learning programs. Please credit Gloria Chandler or Eileen Bach, Concordia International School Shanghai. "These children—these innocent little children—were deprived of everything: their lives and even a burial place. 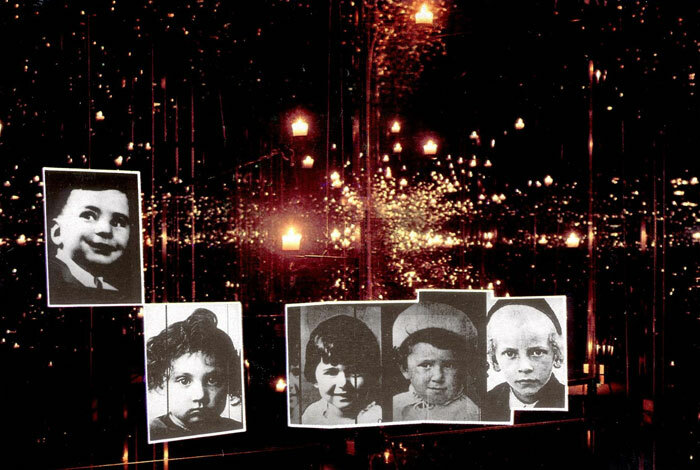 And, so, hush, little children, one million of you, hush, come: we invite you. We invite you into our memory." Elie Wiesel: Dead Stars, Dead Eyes. Films Media Group, 2002, cvod.infobase.com/PortalPlaylists.aspx?wID=256693&xtid=35633.